Your wedding day, is the one day that you will want to feel like the most beautiful version of yourself. Jemma travels to your wedding venue or to the comfort of your own home so that you can truly relax and enjoy being pampered. 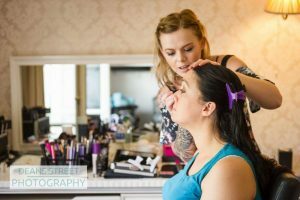 She strives to ensure that she delivers bespoke makeup artistry to each and every bride that she is entrusted with on their magical day. Every wedding and each bride is so different. Jemma understands and celebrates individual styles and tastes. Your makeup will be a reflection of your style and personality. 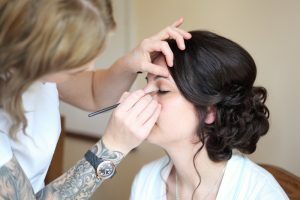 Over the past 10 years, Jemma has been a part of hundreds of brides wedding morning preparation. She understands how wedding mornings can be stressful and can be a calming, reassuring and confident influence amongst the nerves, excitement and sometimes last minute stresses. 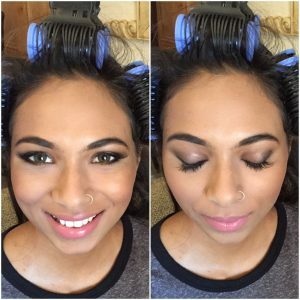 Your makeup trial will usually be 4-12 weeks ahead of the big day. This is to ensure that you can focus on the final wedding preparations, in the knowledge that you feel happy with your bridal look. Using only the best premium makeup and endless hours of professional development and dedication. You can be sure that on your big day, you will be ready to greet your husband and guests with confidence and beauty. Jemma is of course, fully insured to work on members of the public and holds both public liability and professional indemnity insurence. 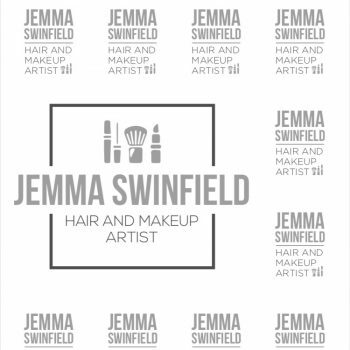 If your bridal party is on the larger side or you have to be ready early in the morning, an assistant can be hired by Jemma to help the wedding morning preparation run smoothly. You makeup will always be done with Jemma, unless otherwise specified.